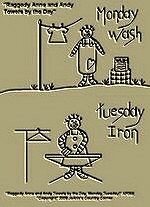 "Raggedy Anne and Andy Monday Wash, Tuesday Iron!" Primitive Stitchery Pattern Towels by the Day Monday pattern measures 4"x7 1/2", Tuesday 4"x6 1/2". 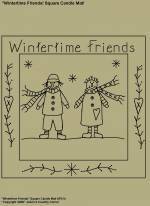 #A109 Primitive Stitchery Pattern Prim "Raggedy Anne and Andy Towels by the Day Wednesday Sew, Thursday Visit!" "Raggedy Anne and Andy Wednesday Sew, Thursday Visit!" Primitive Stitchery Pattern Towels by the Day Wednesday pattern measures 4 1/4"x6 1/2", Thursday 4 1/2"x6 3/4". #A110 Primitive Stitchery Pattern Prim "Raggedy Anne and Andy Friday Clean, Saturday Bake Towels by the Day!" Patterns! 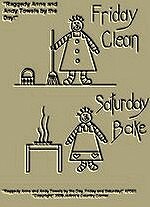 "Raggedy Anne and Andy Friday Clean, Saturday Bake!" Primitive Stitchery Pattern Towels by the Day Friday pattern measures 4 1/4"x6 1/2", Saturday 4"x6 1/2". 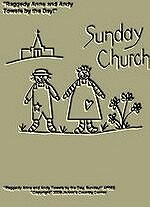 "Raggedy Anne and Andy Sunday Church!" Primitive Stitchery Pattern Towels by the Day Sunday pattern measures 5 1/2"x7 1/4". 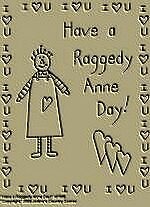 #A139 Primitive Stitchery Pattern Primitive " Have a Raggedy Anne Day!" 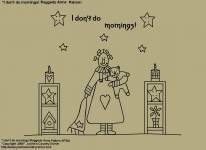 Primitive Stitchery Pattern Primitive " Have a Raggedy Anne Day!" measures 6 3/4"x8 3/4". 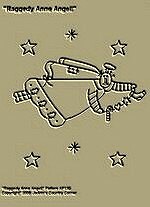 #A274 Primitive Stitchery Pattern, "Do what makes your heart smile!" 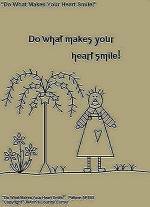 Primitive Stitchery Pattern, "Do what makes your heart smile!" #A285 Primitive Stitchery Pattern, "My buttons hold my clothes together but my Teddy Bears keep me warm inside!" Primitive Raggedy Stitchery Pattern, " My buttons hold my clothes together but my Teddy Bears keep me warm inside!" #A373 Primitive Stitchery Pattern, "Anne + Andy = Love!" Hanger / Candle Mat Pattern! Finished Mat can hang with Homespun material.Measures 6 1/2" x 6 1/2". Measures 6 1/4" x 8 1/4".